It was great to be a session musician from the 1960s to the ‘80s, with so many players laying down incredible parts for some of the most legendary records in history. While the glory days of the session scene can never be repeated, I was surprised to learn that a number of great session players are still working steadily—and are often laying down their parts from the comforts of home. Motivated by the YouTube videos of session veteran Tim Pierce recording great solos from his home studio, I reached out to Pierce and studio legend Dean Parks to see how they've weathered the transition to home setups. Pierce, who began his career in the '80s, has played on records by the likes of Michael Jackson, Lana Del Rey, and Kesha. 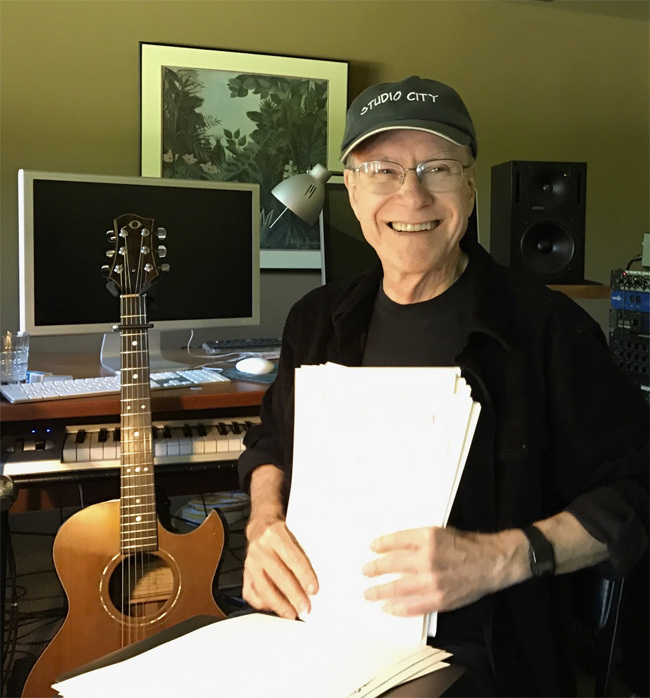 Parks' session career has been going strong for nearly 50 years—during which time he has played for Steely Dan, Bob Dylan, Michael Bublé, and many, many more. Tim Pierce moved to L.A. when he was in his early 20s. With the local rock scene thriving, the landscape for session players was also very good. But first, in 1983, Pierce became Rick Springfield’s guitar player in 1983. Actually, Pierce’s session career didn’t really take off until the ‘90s, which Pierce says was "basically [his] heyday." He continues, "There are musicians who will argue that the actual session scene ended in the ‘70s, but it was still very, very strong then. The ‘90s were very robust for me session-wise." Pierce built his home studio in 1990 when he recorded his first solo album, but he didn’t start using his personal recording setup with other clients until the early 2000s. "It really coincided with the advent of these really easy, affordable hard-disc recording systems," Pierce says. "First there was ADAT, then it was Pro Tools." Pierce’s transition from recording in outside studios to his home studio was a gradual, ongoing process. "In the early 2000s, I was doing 30 percent at home, 70 percent out in the field. A couple of years later, it was 40 percent at home and 60 percent out in the field. A few years after that, it was 50/50, and now I work 90 percent at home, and 10 percent out in the field." Where a lot of studio players would only do A-list sessions, Pierce worked with artists of all levels throughout his career, and it’s served him well today. "One day, I would be working on a Bruce Springsteen record—the next day I’d be working on a demo with a songwriter in their bedroom," he says. "It was the goal of a lot of musicians to transition out of that kind of work, but when the music business started to change in the early 2000s, I was growing a clientele of independent international composers, songwriters, and artists who were not part of the label system." Pierce adds, "If you’re open to treating everyone equally, it’s a matter of collecting clients and employers. You need to find people who are making music, who need you to finish their music. They need a guitar part from you, and it could be somebody doing theme park music, it could be someone super famous, it could be parents trying to get a demo done for their daughter. I have clients I’ve worked with for 10, 20, 30 years, and they’re still here." Because he still works with smaller artists, Pierce is offered more work than he has time for, so he plays only on the sessions he wants to. He adds, "I always preferred people that were in the middle, success-wise, than at the top. The clientele that I grew actually became the new music business because they were all independent artists." One of the biggest changes in today’s world, of course, is being able to send files to studio musicians. Dean Parks—who has been a legend studio musician for decades—started doing parts from home when he was working on a project for producer David Foster. It was hard to book Parks for one particular session, but he worked with Foster for many years and knew what he liked, so Parks created a part from home and emailed it back. "That became an easy way for me to start doing it a bit," Parks says. "80 percent of my sessions are still in studios with other players—there’s still enough of that. I love the tracking process and the social part of it. There’s people doing their own records, they’ll email you and ask if you would do a track for them. Never met ‘em, never gonna meet ‘em." This is why Parks and Pierce prefer to work with the musicians face to face, and Pierce insists on musicians coming to his home studio in person if they want to work with him. "I’ll work on Skype with some people occasionally, but I really limit it," he says. "90 percent of the time, I require people be in the room with me. The reason I do that is I want their energy in the room. I want them to be responsible for the parts and the decisions we make so they don’t have to come back and ask for something different. If someone’s in the room with me, I can give them the world in two hours. If they aren’t there, I might spend four hours on something, send it to them, and they might like [only] half of what I do." Parks agrees that doing a session with everyone in the room is best. "In five minutes, there’s a hundred transactions you can do with the producer," Parks says. "This sound, that sound, more swing to it, less swing to it, do you want it to fade into the background… all of those things. It’s not a remote control thing, it’s a collaborative thing." While Pierce’s own home setup is pretty advanced, he says that anyone can get a good home setup going for a reasonable amount of money. "A little investment, and you’re ready to go," Pierce says. "It’s good if you can have a few good high-end pieces of gear." And while you’ll definitely have to spend a few bucks, you won’t have to spend the kind of money players had to fork over back in the day. In the ‘70s, a 24-track recorder could cost you $25,000, a console could cost as much as $100,000, and you also needed tech people who knew how to fix broken modules and components. "You’d be in deep to get a home studio goin’ back then," Parks says. "You can do it now and have pretty good confidence that your chain can be as good as any studio. The means of production have come way down and you can get some pretty great quality things going." Besides good quality guitars and amps, the key pieces of gear Parks and Pierce recommend for a home studio include a Neve mic converter, a GML mic pre, good Apogee converters, and an SM57, just to name a few. "You can make music with products that are not high-end," Pierce starts, "but the clients I have expect me to exist in the three percent zone—above 90 percent, quality-wise—so I have to have the good stuff." Both Parks and Pierce are pleasantly surprised and thrilled that they’re still working as session musicians, with Pierce telling Reverb, "I’m amazed, delighted, enthused, grateful… I never expected it." Parks is also seeing encouraging signs that things could eventually come back around for a new session player golden age. "Hopefully, when they figure out how to monetize recorded music again, things will ramp up," he says. "There’s less work, but I’ve been told by friends, ‘Don’t worry, the monetization thing is going to be solved at some time. Just keep making music and stay tooled up to do the best stuff.’ And these days, you can do that without breaking an arm and a leg, financially."